Theresa May is expected to confront her most senior ministers with the potentially explosive option of delaying Brexit by months, as the U.K. struggles to find a plan for leaving the European Union. The British prime minister will hold five hours of crisis talks with her cabinet Tuesday, with the pro- and anti-Brexit factions in her top team set to clash over the best way forward. According to an official, ministers are likely to be asked to weigh postponing the date for leaving the bloc until potentially year-end or beyond, to allow more time to resolve the deadlock in Parliament. With Britain due to exit the EU on April 12, politicians are no closer to agreeing to a divorce deal. On Monday night, members of Parliament rejected all the options that were put forward to replace May’s unpopular plan, which itself has been voted down three times in the House of Commons. The pound weakened. If she can’t get her Withdrawal Agreement through Parliament before a summit of EU leaders April 10, May will face a perilous set of options. She could seek a long delay to Brexit, which would anger euro-skeptics, and use the extra time for a general election or even a new referendum to let voters decide. A lengthy postponement would force the U.K. to take part in European Parliament elections next month -- something that would enrage the already-frustrated Brexit campaigners in the cabinet and could prompt some to resign. Members of Parliament will have another chance Wednesday to take over the Brexit agenda and have a say on what happens next. A proposal to stay in the EU’s trading regime known as the customs union was rejected by just three votes Monday. It could still prevail in another ballot Wednesday, though Conservative opposition to the proposal is strong. Speculation has been mounting that May will call a general election as the only way out of the impasse. Her decision to call an unusually long cabinet meeting Tuesday further fueled expectations that Britain might be heading for its second election in as many years. Even so, Education Secretary Damian Hinds said the government would have one more go at getting May’s unpopular deal approved later this week. In Brussels on Tuesday, the EU’s chief Brexit negotiator Michel Barnier warned again that if the U.K. still wants to leave the bloc in an orderly manner, the current Brexit deal is the only way. “Being prepared for no deal doesn’t mean there will be no disruption,” he said. 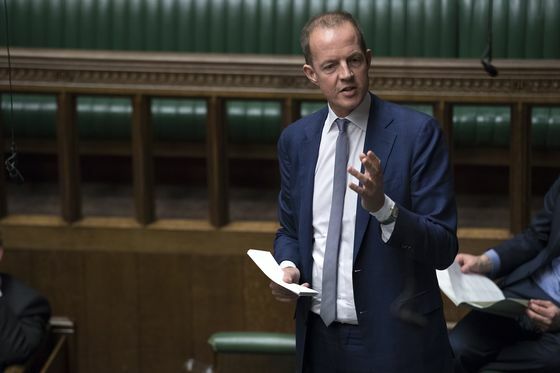 In a dramatic sign of the escalating tensions within May’s party, Nick Boles, one of the authors of a motion that was rejected, resigned as a Conservative in the Commons chamber. While Parliament came close to a majority to stay in the customs union, the breakdown of votes shows an overwhelming majority of Conservatives reject keeping closer ties with the bloc. That makes it politically dangerous for May to pursue a softer stance. Just 37 Tories voted for the customs union plan, compared with 236 against, and 33 Tories backed the plan to stay in the single market, with 228 against. Support for a second referendum also came close in Parliament overall, but just 15 Tories voted for it.